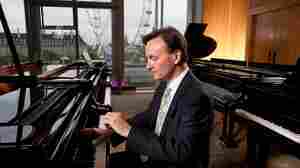 May 23, 2015  The polymath pianist and composer has released three new albums — including a recording of his own Mass, whose writing was interrupted by a disastrous car accident. February 22, 2008  Norwegian pianist Leif Ove Andsnes has traveled Europe to explore the life and music of his country's greatest composer, Edvard Grieg. The quest continues as Andsnes plays Grieg in the WGBH studio. September 7, 2007  Pianist Leif Ove Andsnes takes a fresh approach to an old classic. He taps into the spirit of the Norwegian countryside in a concert performance of Edvard Grieg's Piano Concerto, with Esa-Pekka Salonen leading the L.A. Philharmonic. October 24, 2006  Janine Jansen is a 28-year-old rising star of the violin. Last week, she was featured by the BBC at one of its lunchtime concerts from London's Wigmore Hall. We'll sample that concert and hear Jansen's performance of the Violin Sonata No. 2 by Edvard Grieg. 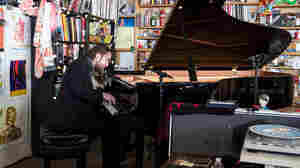 Itamar Golan is at the piano. September 6, 2006  Here's a set of musical encores. Camerata Nordica plays "Last Spring," from Edvard Grieg's Elegiac Melodies. Then, an improvisation on a Venezuelan folk tune by violinist Alexis Cardenas. And to wrap up, pianist Steven Mayer plays "The Banjo" by Louis Moreau Gottschalk. July 31, 2006  Every country has its token composer: Finland has Sibelius, Poland has Chopin, the U.S. has Copland, and Norway has Edvard Grieg. The Bergen Woodwind Quintet plays arrangements of five of Grieg's Folk Songs and Dances, Op. 17. February 24, 2005  When he was a child, music critic Tom Manoff heard the music of Edvard Grieg, particularly his piano concerto in A-minor. This piece of music is known as a workhorse. In pop music, it would be referred to as a "greatest hit." Tom Manoff talks about the status of the warhorse in classical music and we hear Grieg's piano concerto performed here by Leif Ove Andsnes.